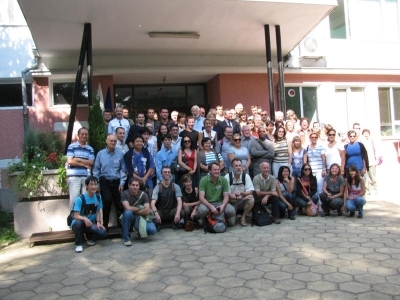 The SharCo Research Workshop was organised together with the International Symposium on Plum pox virus in Sofia, Bulgaria, from September 5th to September 9th, 2010, by partner 02, ABI. The aim of this research workshop was to promote the dissemination of the project's outcomes in the scientific community. It was an excellent opportunity for scientists, to discuss their current work and to exchange ideas. The presentations and posters presented during this conference can already be consulted on this website.